Lucy Martin is a promising young cyclist who has come through the ranks of British Cycling’s Olympic Development Programme. She was first spotted during a Talent Team visit to her school at the age of 15. 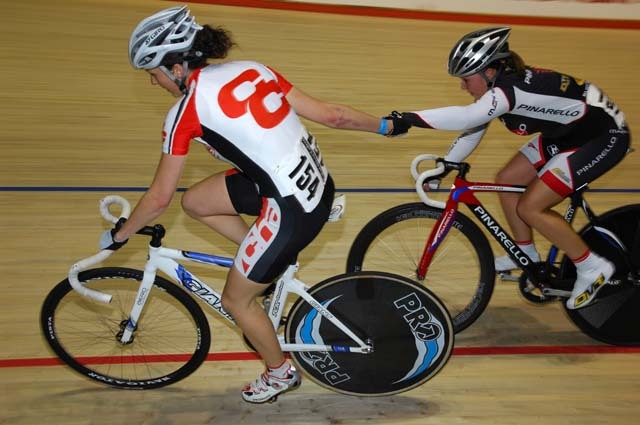 Since turning her attentions to cycling she has shown promise in a range of track disciplines and on the road. Garmin-Cervélo have signed Martin up for the 2011 season. She has been lined up as Lizzie Armitstead’s primary lead-out rider. She is also hoping for some results in the April Classics and World Cup races, having achieved two top twenty finishes last year. Martin was one of a group of British riders caught in an accident while training in Belgium in May 2010. She suffered a crushed vertebra, but luckily did not miss much of the season. Martin continued to build a successful career on the continent, riding for Boels-Dolman along with Lizzie Armitstead in 2013. Click on the thumbnails of Lucy Martin below to open a larger image in a new window.